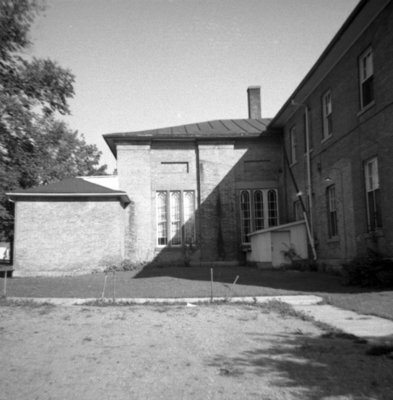 A black and white photograph of the Ontario County Courthouse. View shows the south side of the courthouse. Ontario County Courthouse, September 25, 1965, Brian Winter. Whitby Archives A2013_004_402.